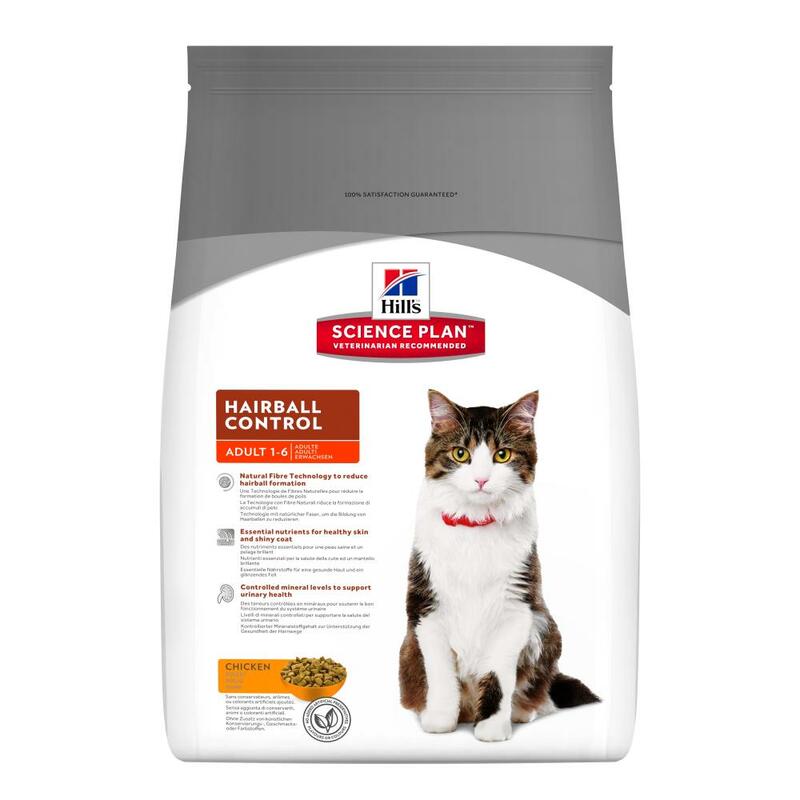 Hill's™ Science Plan™ Hairball Control is a complete food for adult cats (aged between 1 and 6) to be fed every day. 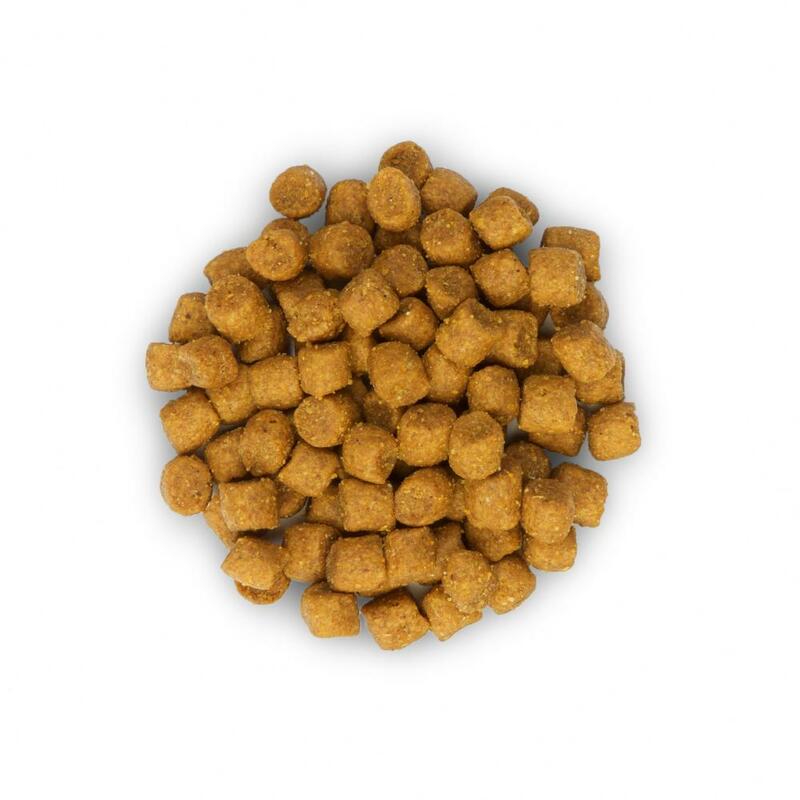 It has been specifically formulated to help to prevent the formation of hairballs. 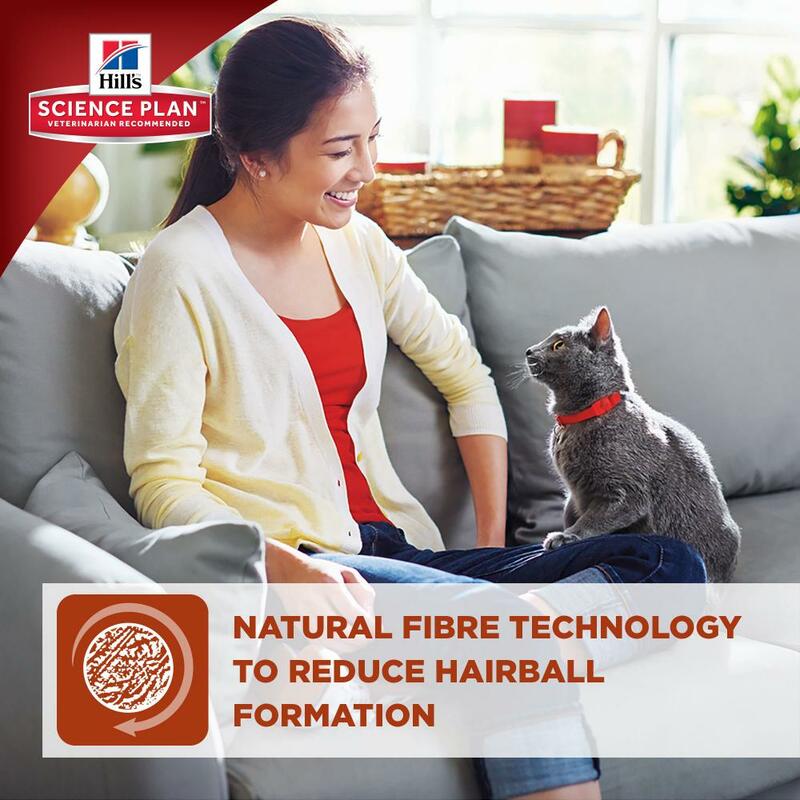 It has been developed with natural fiber technology to help to reduce hairball formation. It also contains essential nutrients and oils which will help to reduce shedding and give healthy skin. Urinary health will be supported with specially adapted mineral levels. Additionally, all Science Plan foods contain 50 nutrients which have been developed to give your cat optimum overall health and happiness. A clinically proven antioxidant formula will support your cat's immune system. The food is made with premium quality ingredients and is highly palatable. These ranges are a starting point only because animals' needs vary.Adjust the feeding amount to maintain optimal body weight. Fibre High level of vegetable fibres Helps sweep ingested hair through the digestive system. Reduces accumulation of hair as hairballs. Reduces regurgitation or vomiting of hairballs. Ingredients: Chicken: Chicken (41%) and turkey meal, maize, animal fat, cellulose, maize gluten meal, brewers' rice, minerals, soybean oil, digest, taurine, vitamins, trace elements and beta carotene. With a natural antioxidant (mixed tocopherols). 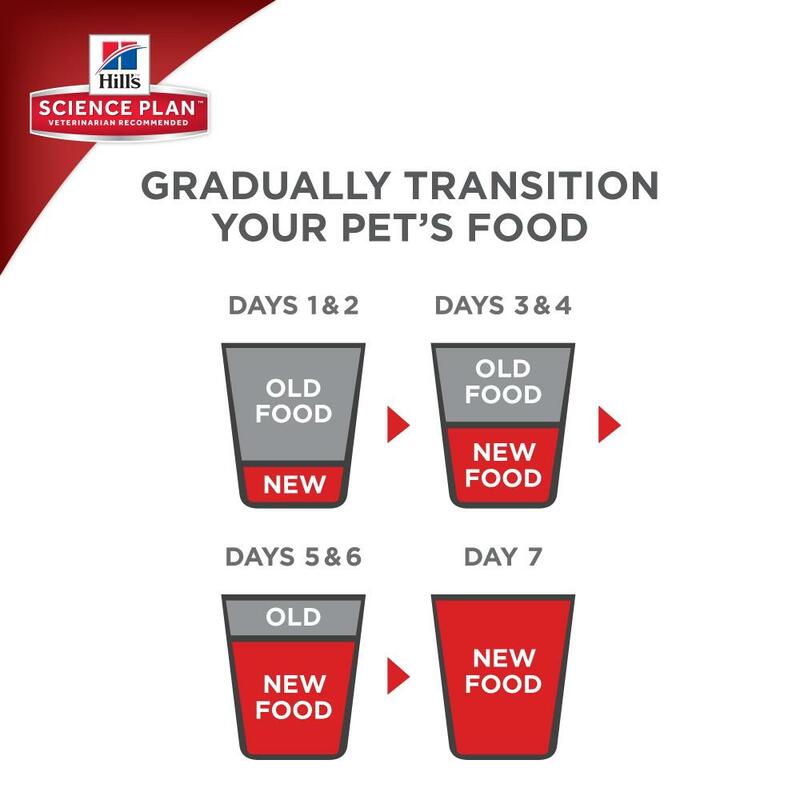 For optimal effect Science Plan™ Feline Adult Hairball Control should be fed daily, as the sole food and not be diluted by mixing with other foods. 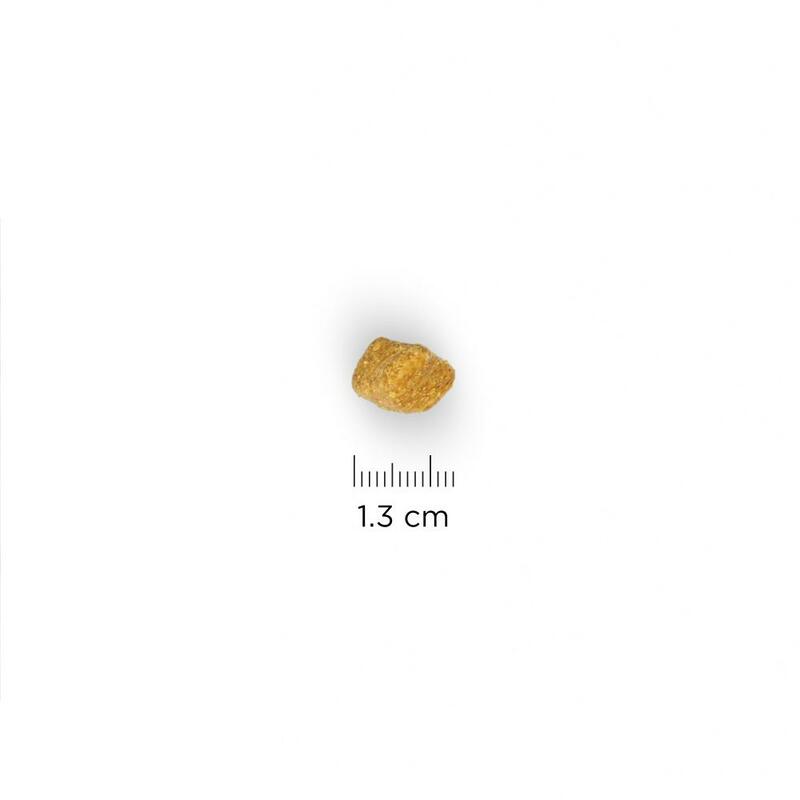 Adult cats, to minimise the formation of hairballs, from 1 year old until 7 years old. 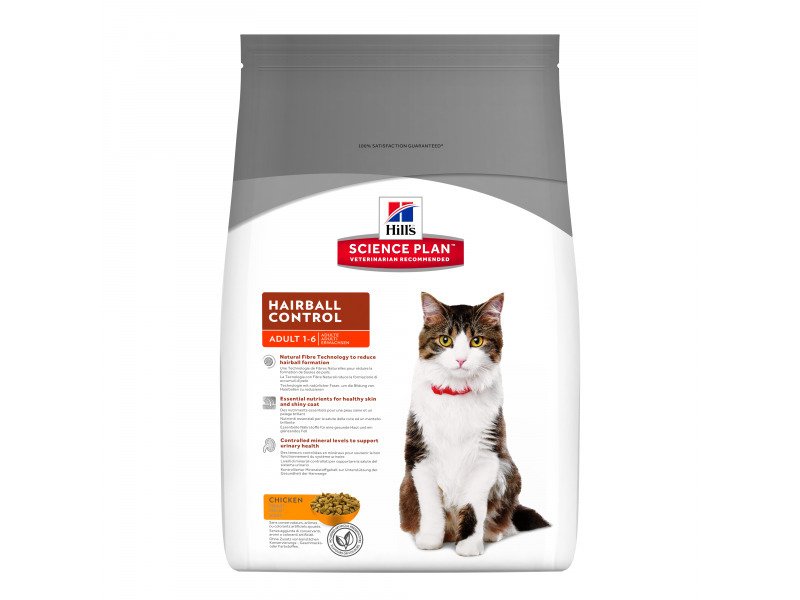 There are currently no questions for Hills Science Plan Hairball Control Cat Food - be the first to ask one!